On behalf of the participating CSOs at this very important retreat, we wish to acknowledge and respectfully appreciate the invitation of the CSOs to be part of this very important retreat on SDGs as it is coming at a no better time than now in line with the spirit of goal 17 on “Partnerships” and in the inclusivity of “Leave No One behind”. Your Excellences, the Civil Society in Nigeria had been active players in the formulation and designing of the SDGs right from Rio +20 to the Open Working Groups (OWG) and have held key positions why playing very important and sensitive roles all through the negotiations leading to the adoption and signing of the SDGs. Just as this promising African nation called Nigeria is clothed in rich historical apparel, signifying the process through which it evolved its democratic experience, the stellar role played by civil society in guiding both the needle and the fabric cannot be overemphasized. The Third Sector, as some would like to call the Civil Society, is a potent molding tool with which Nigeria nurtures its conscience at every given moment. As a testimony to the central role played by this sector in birthing a new Nigeria, it is instructive to note that some of our present leaders like Mrs. Amina. J. Mohammed, (Minister of Environment and former SA to the President on the MDGs) and Dr. Kayode Fayemi, (former Governor of Ekiti State, and present Minister of Mines and Solid Minerals), are products of the country’s vibrant civil society community. At the dawn of the twenty first century, our dear country was privileged to receive the cooperation it needed in the implementation of the Millennium Development Goals (MDGs). While we met few, we backslide on some and many were unmet. However, the lessons learnt are useful as we set out our implementation of the SDGs. Therefore, as a sector we are convinced that today, and specifically, this distinguished forum, presents a great opportunity for the CSO community to candidly communicate our expectations, share our experience and hear fromgovernment and other critical stakeholders, on how we can jointly lay out the needed robust implementation plan forattaining the Sustainable Development Goals (SDGs) in Nigeria. As we all know, following the progress made under the MDGs which drove global development efforts from 2000 to 2015, the world determined that the SDGs for the period 2016 to 2030 would continue to fight against extreme poverty,achieve gender equality and empower all women and girlswould add the challenges of ensuring more equitable development and environment sustainability. Hence, we must emphasize the need for Nigeria to follow the global trend by upscaling its capacity and sharpening its strategies for international best practices and norms. This basically means that we deploy lessons learnt from the MDGs for the implementation of the SDGs. But more importantly, it recommends a new paradigm shift in the partnership between CSOs, private sector and the government. Civil society plays a fundamental role at the national and sub-national domestication and implementation of all international protocols and conventions. The trainings, outreaches, data mining, and various interventions of the civil society have helped immensely in ensuring that both national and international agendas are brought closer to the ordinary Nigerians. And in this way, we as a sector along with our stakeholders, the international community and our development partners are able to monitor the impacts of our interventions. With the SDGs, there is a new, exciting challenge before us all. With our capacity as a sector and using our networks of citizens and citizen organizations, we have started popularizing the SDGs, 17 goals and 169 targets. And, of course, it is our duty to reticulate their impacts. It is also collective responsibility as participants at this forum to ensure that transparency and accountability remain the key words for all SDGs actors, the more reason why we ‘Follow TheMoney’. The Nigerian civil society has already made some remarkable achievements right from the process of designing the SDGs. For instance, we were part of several consultations that led to the development of the SDGs from 2012 to 2015. We consulted with citizens all over the world through the ‘’my world survey’’ and brought citizens voices to bear on the design and negotiations that led to the development and adoption of the SGDs. We were well represented as active stakeholder’s at all high level events and intergovernmental processes including leading the African Women Major Groups at the UN processes and at the African Regional Consultative Meeting on the SDGs. It might also interest you to know that one of the outcomes of that forum, which was to vigorously utilize data collection, is already being implemented in Nigeria. We were present as a sector in September 2015 in New York when world leaders including our President Muhammadu Buhari made history by adopting the 2030 agenda. The SDGs, it was agreed, presents a “key window of opportunity to improve the existing, haphazard approach to data collection and reporting”. It was also decided that civil society, private sector and citizens should collaborate with the government to evolve better strategies for strengthening statistical systems that can measure and incentivize progress across the goals. We are glad to announce to you that Nigerian CSOs are already implementing this strategy in conjunction with the government, as agreed by the international community (Women Environmental Programme in conjunction with the National Bureau of Statistics just finished the first phase of their data collectors training for Nigerian youths). However, we strongly believe that there are many more things to do for effective implementation of the SDGs, and many other strategies to adopt in order to ensure Nigeria performs better than it did under the MDGs. 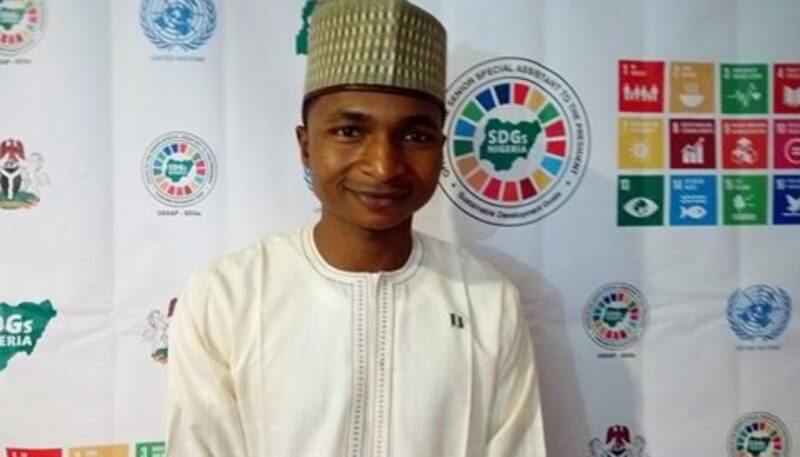 Firstly, the government needs to exhibit more willingness to cross the line from average to perfection by creating the enabling environment for optimal multi-stakeholder participation in the framing, development and implementation of national, state and local government plans of action on the attainment of the SDGs. We anticipate a domestication of the SDGs within our national and states development plan. We recommend seamless coordination between local, states and the federal government; and also between the Ministries, Departments and Agencies (MDAs) including synergies with the private sector and civil society sector which of course includes the media and the academia. Secondly, we recommend a planned upgrade of institutional capacity in order to ensure service delivery and effective project implementation. Thirdly, a coherent national data management system would be effective in mainstreaming the efforts and interventions of civil society, private sector and development partners while enabling all actors within the development space to carry out their task unencumbered. Strategically, capacity building on the Open Data concept targeted at those who will be implementing the SDGs is a major first step in realizing that at the review and progress of the implementation of the SDGs can only be measured through presentation of data. We are confident that if collectively we remain positive, focused and determined, our country can achieve the SDGs goals before 2030 and other developmental aspirations we have. On behalf of the CSOs, I urge our government to see us as allies and partners to achieving the Nigeria we want, with the SDGs, particularly around data at the grassroots to inform policy and decision making, leveraging on innovative technologies. Thank you for listening and for this opportunity!!! God Bless You All and God Bless the Federal Republic of Nigeria.